It is usually the birth record, and how comfortable I am with that record, that defines how comfortable I am with my feeling that I know an ancestor. Nelson Barnes’ birth records, parents, and childhood records do not give me a warm fuzzy feeling. I have no sense of the cat purring behind my ear. But, here is what I think I know. Thomas Wolfe, in A History of Sullivan County, Indiana,[i] indicates that Nelson Barnes was born in New York on 24 March 1816. It is very clear; however, Nelson Barnes’ Find a Grave Memorial [ii] indicates he was born on 6 December 1816. The photo on the memorial is too pixelated to be able to determine what it might say. So, I have submitted a Find-a-Grave photo request to try to get a higher quality image to look at. Normally, I like to use the document closest to the event. However, in this case, three of the four census records and the Wolf book indicate a different birth date makes me uncomfortable accepting the December 1816 birthdate. I’ve decided to ignore the Pennsylvania birthplace states in the 1850 Census as just wrong. His marker might indicate his age at death as 68 years and 29 days. If so, that would put his birth in December 1816 also. So, I’ve requested an updated find-a-grave image of his marker. Hopefully, the bottom line will be more readable. An improved image might clear his birth month up for me. I have not found any documents, so far, that clearly identify Nelson Barnes’ parents. That said, there are 11 family trees on Ancestry that share Nelson Barnes as an ancestor. All 11 of those trees indicate that Nelson Barnes’ parents were Joel and Lucy Wilson (Taft) Barnes. None of these researchers appear to have identified any siblings for Nelson nor have are any siblings identified on the Family Search family tree (ID: M1PY-5V8). Finally, the idea that Nelson married a Taft and that his father also married a Taft makes me uncomfortable. Are the identities confused by the researchers or did it really happen this way? Having Nelson’s father named Joel would explain one of his sons being named Joel. In the future, I will research Joel Barnes (the elder) and see if I can connect him to Nelson, but in the meantime, the relationship of Nelson to Joel and Lucy is very tentative. Their first child, a daughter, has one of the most unusual names I’ve encountered – Tryphenia. Tryphenia (or Tryphena) was born in in 1841 in New York. Records seem to conflict about if she was born in Broome County (Binghamton area) or King’s County (Manhattan). Likewise, their second child, also a daughter – was born in 1844, also in New York. Nelson was a farmer and attended Methodist Episcopal church. The 1850, 1860, 1870, and 1880 census records all clearly show him living in Sullivan County. Although some researchers indicate that Nelson served in the Civil War, I do not agree and believe the 45-year-old father of 8 remained out of the war. See “Nelson Barnes – Civil War Veteran?” for details. In February 1879, Nelson and Mercy’s son Cyrus died at the age of 24. Research potential ancestors, Joel and Lucy Wilson (Taft) Barnes, and see if there is a descendant path to Nelson Barnes. [i] Citation: Wolfe, Thomas J. 1909. A history of Sullivan County, Indiana, closing of the first century’s history of the county, and showing the growth of its people, institutions, industries and wealth. New York: The Lewis Pub. Co. Page 235. [iii] Wolfe, Thomas J., History of Sullivan County, Indiana, A, Files (Personal), See Item i above. 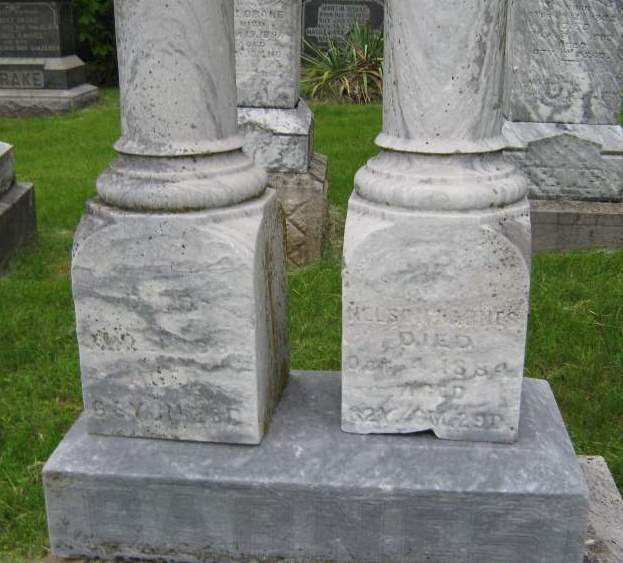 [iv] Find a Grave, Find a Grave, Nelson Barnes (1816 – 1884). See Above. See item ii above. Previous Previous post: Nelson Barnes – Veteran?